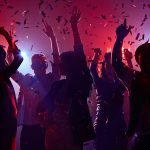 The fall through the end of the year is typically the busiest time of the year in the nightlife industry. It’s a heavily event-driven season, with all the holidays and celebratory moments driving people to spend more time out with their friends. Fortunately, hosting events is one of the best ways to get people through your door. And it can be a serious money maker for your business if you take the time to plan it out, get everything in place, and throw a good party. Here is a 5-step plan to set you up for success when hosting an event so you don’t end up owing more than you make. Is this going to be an event tied to a holiday or time of year? Could be a great opportunity to have a comprehensive theme. Once you answer these questions, you have a better way of moving forward. 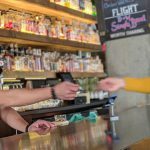 You know exactly how many promoters you need, what staff members are responsible for, how much money you can spend on talent, what type of talent you need to hire, if you can offer drink specials – the list goes on. All the details easily start to come together once these bigger questions are outlined. Talent is a big portion of what lures people into your venue. But you need to make sure you hire the right talent. Do your guests prefer a headlining DJ or a local band? What type of lighting and sound equipment do you need to enhance the experience for your guests? After all, the people you are throwing the event for should define the event’s path. Know what your audience wants and what they’ll pay to attend. And above all else, stay within the budget you allotted in step 1 to maximize your profits and achieve your goal. We’re talking about pre-sales. Every event or venue, regardless of size, benefits from the pre-sale of tickets and inventory. The best way to sell tickets in advance is to get everyone on board with a single platform. 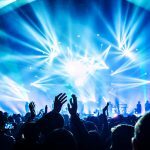 There are platforms available that allow you to create and manage an online event page, publish the page for consumers to purchase tickets, have the page integrate with a mobile app for promoters to sell tickets directly from their devices, and track ticket sales and results along the way. This type of platform syncs all promoters and marketing efforts together to maximize ticket sales and revenue. The only way to know whether your event was a success is to analyze the data. Systems like Vēmos combine all your data from across your venue into one dashboard, so you know exactly who made up your sales and what they bought. Which marketing campaigns brought people to pre-buy their tickets? At what time did your sales start trending upwards? What time of the night did the majority of your guests check in? How much did a general admission guest spend at the bar? Was your labor to sales ratio what you expected it to be? And most importantly, what could you do differently next time to do even better? Optimization is key to long-term success, but you can’t optimize if you don’t have the system that provides the answers to all these questions. The more you know, the better your results. Ready to take your event to the next level? Get started for free. Get everything that comes with our event management feature as a standalone product.